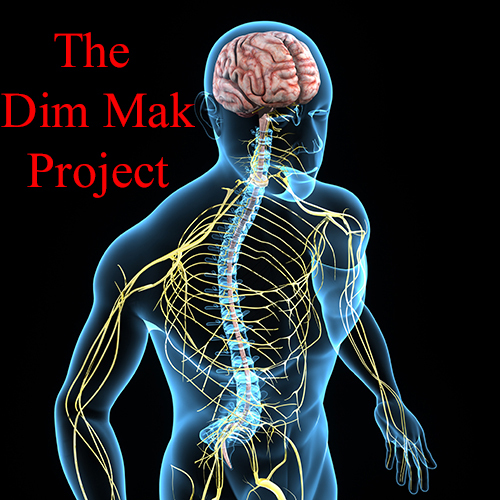 Dim Mak Project - A study of high level self defense & the "death touch"
as the "Touch of Death." Join the Dim Mak Project NOW! below! Below are 3 different aspects of the Dim Mak Project you can get involved with! Discover our eBook on the basic 21st Century Theories of Dim Mak!. Kyusho Jitsu University offers 3 Month Courses in Dim Mak. learn More below!. So I don’t have a real answer for you, but I do have some well researched theories! Now, I have spent the last 15 years researching, studying and training myself in the pressure point art known as Kyusho Jitsu. This is almost half of my 32 year martial arts career. I have seen a lot of things come and go. I have also see a lot of unsubstantiated claims over the years. But I do believe this information does exist. Because of the things I have seen and I have done with pressure points, I know it must! After years of intense study of the human body, talk with medical people and my work in Kyusho I think I have found the root of Dim Mak and how it works. So within the next few weeks I am going to compile my notes and ideas and make it available to anyone who, like me wants to know and understand more about the mysteries of Dim Mak. Join the Dim Mak Project Today! Use the form below to learn more about the Dim Mak Project today! 10 FREE Kyusho Lessons! Subscribe NOW! Yes!! I want to Join! Great! Just fill out the form below, verify your email and your 1st Lesson is on the Way!! Don't forget to get your FREE Dim Mak Project Video! Fill out the form below, verify your email and your FREE Dim Mak Video is on the way! Get your FREE Video NOW!! Get your FREE Dim Mak Project Video! Fill out the form below, verify your email and your FREE Dim Mak Video is on the way!